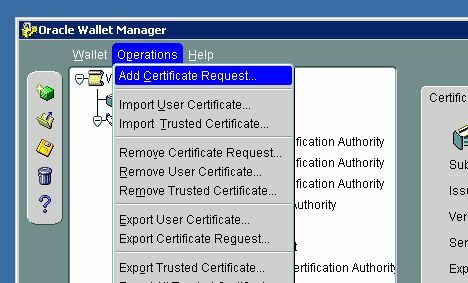 I don’t know where to ask this question so asking here ..
We have installed Oracle webcache (10.1.2) and Oracle IS (10.2.0) on a server .. Client requirement is that when they type a URL like http://www.rizwan.com it should be converted to http://www.rizkhan.com/riz_kh .. This URL should be converted on the server where we have installed webcache and IS .. How do i do that in webcache or IS ? I am not familiar with that process. I have not run across a need to do that. You could use alias or something similar to what apache does? Trying to put Apache in front of an OAS server in my DMZ. 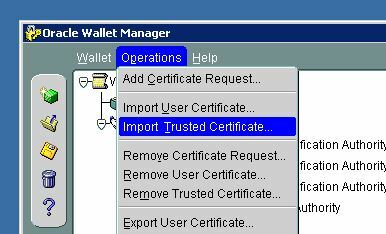 I want to use the same SSL cert/key that is currently in OAS’ wallet. I can get the cert easily; is there a way I can get(export?) the key so I could use the key-pair on my webserver? 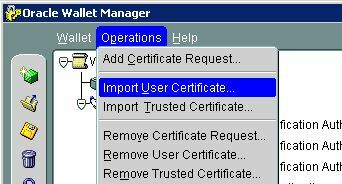 Is there not an export key option inside of oracle wallet manager?